From histori c pieces more than a century old, to modern finely-tuned target rifles; from little .17HMR through to buffalo guns, we shoot them all. 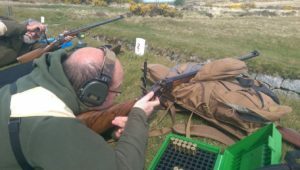 Most club members have a small calibre rifle, .22LR or perhaps .17HMR, which they shoot at Parracombe. There is a strong contingence in the club who shoot historic weapons, mostly variants of the .303, but with some more exotic pieces as well. 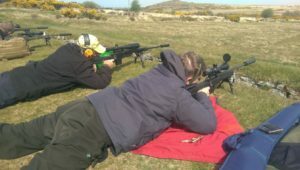 Sporting rifles are in evidence at every meeting, as are the precision tools; the highly accurate target rifles which can put every shot through the same hole, even if the shooter can’t. 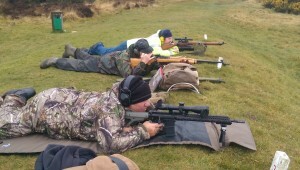 Favourite calibres are 7.62Nato/308Rem and .223Rem – even at 600yds at Millpool. If you are the sort of person who likes paraphernalia, who hankers for a long-lost era, who likes a ‘boom’ more than a ‘bang’, who is not concerned with a rate of fire measured in minutes per round, rather than rounds per minute, then come and hang out with our other ‘smokers’. hole somewhere in the target. If this is the sort of thing you like doing, you won’t be alone. Tamar Rangers has a number of club rifles for use for probationers and members. These range from .22RF bolt and semi-automatic rifles, .223 rifles through to 7.62 rifles. The club also holds large ammunition stocks, which can be purchased by probationers and full members. You can now see the 2019-2020 range dates in the members area. The write up of The 2018 Fullbore Competition is now in the members area. 2018 Colonial & Empire Shoot write up is now in the members area. © Copyright 2019 Tamar Rangers Rifle Club.